The role plays while fun allow for examination of what the mind set of the parties might be and insight into dealing with them. The instructors are knowledgeable and interesting. I particularly appreciate the wealth of experience and their down-to-earth approach. I always find the role plays useful and the discussion is a great way to deconstruct and analyze the role play. You are forced to pick up information on topics outside your comfort zone. The workshop the roles were creatively crafted, which made the experience real. The “one-on-one” mentoring session was extremely helpful. I liked the fact that all of the role plays were planned in such a way as to pull out the best from the participants. The instructors were all very helpful and were able to zero in on the areas for improvement and give the specific advice needed. The role plays and exercises were quite effective and helped improve my skills. The structure and content of this workshop was well organized. It provided techniques to be used in everyday life. Moreover, it allows the participants the opportunity to be full integrated in learning. The instructors’ knowledge was tremendous and very stimulating. The approach was interactive, easy to understand and logical. The techniques are applicable to resolving real-life/personal issues – an invaluable tool for dispute resolution to which everyone should be exposed. Instructors are well-equipped and supply concrete examples to help clarify any issues that may not be understood. Their responses are clear and accompanied by examples to aid understanding. This would be invaluable experience for any level of worker or management level. The staff mingles professionally and yet promotes a warmth which makes role commitment enjoyable and advantageous for future growth.  I’ve completed all of the courses to obtain the U of Windsor Certificate but more importantly I’ve got the confidence to develop a mediation practice because of the excellent and supportive instruction from SFHG. I like the practice and multi-layered realistic scenarios. The role plays are very good, with tons of learning opportunities. It all came together for me in this workshop. The theory from the first and second courses was great, and in this program, I developed the “art” of mediating and the confidence I needed to move forward. I have been exposed to mediation and I have felt that the Stitt Feld Handy Group training was a cut above the rest. This is because of the exposure to the various role-play scenarios that spoke to the specific skill involved. The coaches were extremely effective and knowledgeable. Keep up the good work Stitt Feld Handy Group.